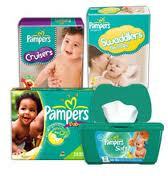 There are currently LOTS of printable coupons available for baby diapers and wipes. Print them out before they are no longer available! These are absolutely amazing! My local grocery store had coconut and milk, and also strawberry and milk. I love the flavor coconut in almost anything, so I thought I would give them a try! Wow! Wow! Wow! Yummy! 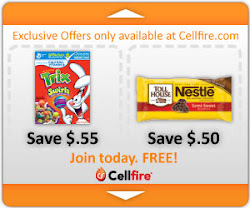 Thankfully, there is currently a printable coupon available for $1.00 off per box of 4. The bars are a pretty good size (that's Texas talk y'all!). The price at my grocery store was close to $3.00. So, the coupon came in handy. I should have bought more than one box! They are THAT good! So, here's the current printable coupon. You may print out 2 coupons per computer. Print a few while they are still available, and get to your store of choice quickly! You don't want to miss out! A Summertime Texas Dinner - Frugal, Scrumptious, Healthy, and Colorful!! I love summertime!! Fortunately, for us here in Texas, summer fruits and vegetables fill the grocery stores quickly and very early. I love the rich, beautiful colors, too. As the health experts always say, the more colorful your fruits and veggies are, the more nutritious they are! With Memorial Day approaching, our local grocery store H.E.B. was loaded with watermelon and corn-on-the-cob at great prices!! When I saw the corn for 6 ears for $1, I just had to get some!! So that night, our dinner consisted of corn-on-the-cob, watermelon, chicken fajitas mixed with fresh veggies (zucchini, yellow squash, red onions, red bell peppers, green bell peppers, and mushrooms). I also added slices of lime to our water! The chicken fajitas were purchase frozen at Sam's Club. I only used 1/4 of the bag for this meal. The fajitas were already sliced and seasoned and they were $6.99 for the whole bag. I bought the fresh veggies already chopped, which I usually do not do (because they are more expensive), but since they were made up special for the grill, they were at a great price also. I love summer holidays for the great deals on healthful foods!! So, for about $5, I was able to feed hubby and myself! You are not going to find any better at a restaurant, and certainly NOT for the price. AND, it is so much healthier for you.....which is always my goal! As long as you purchase fruits and vegetables that are in-season, you can prepare healthy meals. 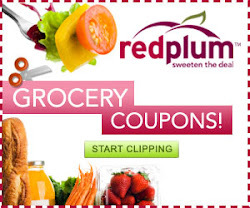 I do not use coupons on too many foods, because most of them are for processed and/or unhealthy foods. However, this example does show that you can eat awesome foods at reasonable prices! YUM!! So colorful and appealing! The more color, the more I like it. This is locally grown corn from the Texas valley. Some of the BEST!!! We each had 1-1/2 cobs, so there is enough left for another meal. I love this seasoning. I did buy it with a coupon at Walmart for about $0.25! Or, it might have been FREE! I do not normally eat any type of poultry, but hubby likes it. So, I add a little for taste and give most of it to him! We only ate half of this, so there is enough for another meal. I found the following recipe in the current issue of Woman's World (May 27, 2013). I have not tried it yet, but I know they are the new craze. It is a great, tasty and healthy alternative to potato chips! Preheat oven to 350 degrees. Coat 2 baking sheets with cooking spray. Divide cheese, garlic, pepper flakes and oil between 2 large plastic food storage bags. Tear kale into bite-size pieces. Add to bags, seal and shake to coat. Spread in single layer on baking sheets. 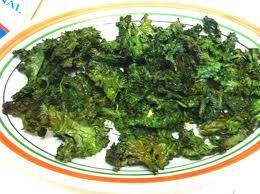 Bake 25-30 minutes or until kale is crisp, but not brown. Transfer to rack to cool. Makes 4 - 6 cups. With each day of my existence here on earth, I have come to the realization that life is here in the moment and you must enjoy every minute with all the love, peace, and happiness you can put before you. We have absolutely no control of the future. When you awake each morning, be happy to see the sun shine once again. And, if it is not sunshine in front of you, enjoy the raindrops, snowflakes, or cloudy sky that you are fortunate to enjoy. These are all forms of nature and they can be beautiful in your eyes if you CHOOSE it to be. What is most important is that you have been blessed with another day of life ~ another day to spread and pass forward as much love, joy and peace to those who cross your path throughout your day. As for yesterday, you must come to the realization that it is over. There is nothing you can do to change that which has already happened. Worrying only sets you back. Be thankful the day existed and use your experiences of the past to help you move forward and enjoy the day at hand even more. Wipe the slate clean and learn to appreciate that which is put before you. Live in the present. There has been no time better than the present for me to be thankful for the life I have been given. Since the day my husband was diagnosed with liver cancer, I have been able to look to each day as a new day to have the opportunity to breathe and enjoy the life to which we have been granted. It is very easy to be overwhelmed by a serious illness. But, since the beginning, my husband and I have been determined to take each day that is given to us and make the very best of it. We cannot wallow in the “what ifs”. There is no time. We must make the most of each day. My husband’s favorite word is “COM fort a ble”. He gives me the giggles and makes me smile by how he expresses and pronunciates this word and how he truly enjoys the comforts of life. Slow and easy and RELAXING….that’s his motto for life. And, believe me, when you are hit with the big C and all that comes with it, it is the best way to look at life. Take each day as it comes instead of overwhelming yourself with what could be or what could have been. Accept what life has put before you and move forward one day at a time. We have had many doctors compliment us on our attitude throughout my husband’s journey. They attribute our positivity and success to our “one day at a time” mindset. Instead of my husband’s disease worsening as time progresses and we near the time for a liver transplant, he continues to feel better and reaps the benefits of continual better test results. His labs get better and better as time goes on. We had a doctor commend us today on our attitudes and devotion to getting better. He said that we are part of the minority. He has seen too many patients become overwhelmed, but he has witnessed how positive we remain and how we keep up with all appointments and in essence take one day at a time. He is so pleased with us and has told us in the past that he is always excited to see us because we are always full of good news. Along the journey, we have had doors close only to allow the opening of many more new doors and exciting opportunities to unfold before us. Living better for less has become my passion. I have always loved writing and saving money. I have worked from home most of my life, but I have usually had to answer to clients. Now, I have the opportunity to take my passions and apply them to my everyday life. I have chosen the life of minimalism and work towards that goal every moment in my life. I now have the time to write about what I love most. We are able to live life as if it is one vacation. We are able to do all the things we enjoy and we are transforming our lives into all the things that we enjoy most. There is no better life!! We anxiously await the arrival of my husband’s new liver. As each day passes by, we prepare for the best life ever. 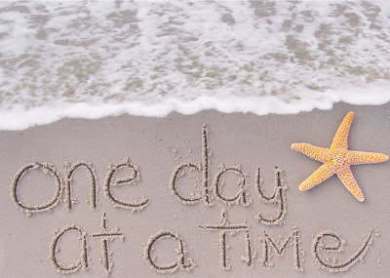 Once my husband receives his “new” liver, we have plans to live “one day at a time” and to enjoy every minute of every day. As mentioned earlier, my plans are to write and I will write about that which I know best ~ living better for less! I am in the process of writing my first book on minimalism. I plan on approaching this lifestyle in a manner that has not been presented before. Meanwhile, I will continue to blog and hopefully inspire those who are tired of catering to the corporate world. We are not put on this earth for long, so we should enjoy it as much as we can. I hope I can invoke thoughts on ways to enjoy ONE DAY AT A TIME and to LIVE BETTER FOR LESS!! My CVS trip total for today was $52.01. My OOP (out of pocket expense) was $11.05 and I received $11.00 in ECBS for my next shopping trip!! If I were to count the ECBs towards this trip, I would have spent $0.05. However, I always show the ECBS as cash in my next shopping trip. So, in reality, I saved 79% today. Awesome!! Before leaving for my trip, I did my usual visit to www.cvs.com to check for any printable coupons I might want to use. Today, I printed a $10.00 off coupon for (1) Schick Hydro Silk Womens' Razor. The box I found had a BONUS refill! I also had a manufacturer's coupon for $4.00 Off. The razor retailed for $12.49. So this was a MM (moneymaker) for me! Profit of $1.51!! I also printed out a coupon for $4.00 off of a $20 purchase, $1.50 off $5 purchase of any body wash (which I used on the Dove purchase), and $4.50 earned for my Winter quarterly spending. Every three months you earn 2% rewards towards your quarterly spending. I started off with a nice bundle of coupons just for visiting the CVS website! When I arrived at CVS, I scanned my CVS shopping card at the red box. I had to scan my card (3) times in order for all coupons to print out. For those of you that do not know, continue to scan your card until the machine tells you there are no coupons to print. I gathered up about 12 coupons (nothing to be used today, but maybe on future trips). I proceeded to do my shopping and was happy to find most deals in stock! Between sales and coupons, I saved $40.96!! I am happy! I LOVE CVS!! If you have an Office Max Perks Rewards card, you may receive $6 per ink HP brand cartridge (limit of 2) that you turn into the store this week. A $50 purchase for new HP ink is required. However, remember that you always receive 5% back in rewards. OfficeMax also has a 110% price guarantee. If you find ink at a lower price, OfficeMax will match it by 110% of the difference! YOU CAN'T BEAT THAT!! I have been a couponer and thrifter on & off for the past 25+ years. It is now a way of life for me! I am married to the love of my life, and together we find & enjoy ways to save money, but live a happy, fulfilled life. My goal in starting this blog is to hopefully share how a family can learn to live and enjoy life with a minimal amount of money. There are so many opportunities today to save money & live a comfortable lifestyle. You should easily be able to save 50% or more in almost everything you do. There are MANY ways to save even more. So, we welcome you as we travel down this adventurous road together saving as much money as we can while enjoying life to the fullest.